In its bid to expand its overall presence in the state of Kerala, Mercedes Benz India has now opened its 8th dealership in Kerala at Thiruvananthapuram. The dealerships is located conveniently along the new Kovalam Bypass Road, one of the city’s prime areas. The new dealership spans 9, 000 sq. ft. and will be managed by Rajasree Motors as per reports. 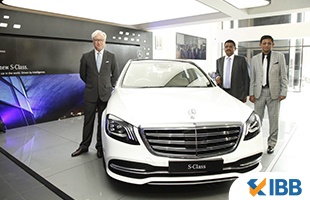 Thiruvananthapuram is one of the fastest growing markets for luxury cars in Kerala and this was emphasized by the CEO & Managing Director at Mercedes Benz India, Roland Folger, who inaugurated the sales outlet in tandem with the Managing Director, Rajasree Motors, S Sivakumar. Rs. 3 crore has been spent for building this dealership. Folger added that India is a vital market for Mercedes Benz and Kerala is playing a major role in its recent growth. Thiruvananthapuram is among other fast emerging Tier II markets where the company wishes to pursue future growth opportunities. He talked of how Mercedes Benz is planning to expand more in Kerala by offering the best dealerships and after sales service for customers. Folger also stated that Mercedes Benz leads the luxury car segment in Kerala and wishes to consolidate this position while creating new standards in terms of vehicle ownership experiences. The company will now look to qualitatively scale up its network at various locations in India as per Folger in keeping with the Best Keeps Leading theme. Sivakumar added that Kerala is witnessing considerable demand for luxury cars and it is one of the fastest growing markets in India as far as this category is concerned. Thiruvananthapuram has contributed majorly to this growth and the dealership will be able to cater to people from Thiruvananthapuram and other adjacent towns due to its strategic location.